What to Bring: Paper Trimmer with score blade, Double side red adhesive, Paper snip. Cancellation fee $15 and you get to take home your uncut materials with instruction. 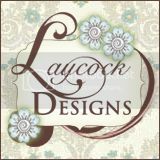 Request for a workshop and order your choice of 12 x 12 Cardstock, Designer Series Paper page 158-161 that with each other. Log onto my web site and click on Shop Now. What better time of year is there to express to your family and friends with a Birthday purse gift. In this class you'll create four Birthday cards, four 3” x 3” Thank you notes and 9 tags that can be used when packaging up treats for your family, teachers, friends &/or co‐workers. The whole collection is packaged in this one‐of‐a‐kind Stationery Purse. Adhesive: Sticky Strip, Snail adhesive, Stampin’ Dimensionals, 2‐way glue pen, Dazzling Diamond. Punches: Scallop oval, Med. oval, large and small Tag punch, and Eyelet Border. •Classic Inks: Basic Brown, Close to Cocoa, Pink Pirouette, So Saffron, Chocolate Chip, Regal Rose. These materials is just letting you know what's being provide in the class, and you also go home with instruction to duplicate the cupcake theme.